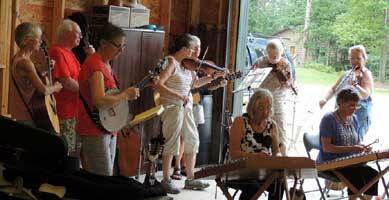 Thursdays at Heritage House Apartments, Manistique, 12:30-2:00 pm, we join friends to play and sing a variety of songs and tunes for the residents and visitors in the Community Room, each adding our own flavor to the mix. A friendly and fun time for friendly and fun people! December 1, Saturday: Village Artisans' Silent Auction Fundraiser, doors open at 2:45 pm at the Garden Gallery. Steve, Sharon Vierk, and I will add cheery music to the delicious snacks as participants visit, browse, and bid on wonderful one-of-a-kind handmade art & craft items donated by Garden Gallery artists and supporters for this fun fundraiser for their non-profit Village Artisans' childrens art classes and activities. Always a good time! 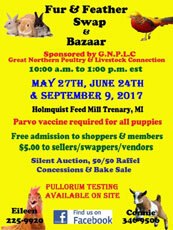 May 27 - June 24 - Sept. 8: Saturday, 10:00 - 1:00: "Fur & Feather Swap & Bazaar", at Holmquist Feed Mill in Trenary. Wild Cherry Wine (Sharon, Steve, Sue, and bass player Tom Caron) add to the lively mix with our old time (and not so old) music for all things furred and feathered, and people, too. There is a bake sale, raffle, silent auction, concessions. We have had a great time for this popular annual family-friendly event, sponsored by the Great Lakes Poultry and Livestock Connection. People are surprised at what they walk out with when they thought they were only coming to look! August 12, Sunday: "Wild Cherry Wine" were fortunate to play for a beautiful, outdoor (in the orchard) wedding. October 28, Saturday, 11:00-5:00: Lake Effect Art Gallery Mini-Grand Re-Opening! Our favorite local Gallery (of which Steve and I are a part) has relocated to 212 S. Cedar St., downtown Manistique. In just a few short weeks of long hours and work (a lot of scrubbing and painting and moving!) the Gallery board members, artists and friends turned a once neglected set of rooms into a beautiful space filled with a wonderful selection of local art, crafts, and gifts, ready for the holiday season. We're excited and happy to do our part for the Re-Opening by providing lively live music for the day. We're also happy to have our artwork at the Gallery -- spoons, bowls, boxes, watercolors, cards. It's a very pleasing place to browse and shop. Stop in! 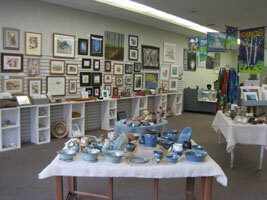 The Lake Effect Art Gallery is a part of the local non-profit Lake Effect Community Arts. 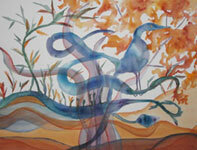 More information at www.LakeEffectArts.org. Sept. 14 - Oct. 31 - Behind the Bonifas: A Look at the Permanent Collection Exhibit. In 2005 I (Sue) painted this watercolor especially for the Bonifas Arts Center annual fundraiser auction, but they chose instead to keep it for their permanent collection. Now this piece has been chosen again to be part of the "Behind the Bonifas" exhibit. I'm thrice honored as it will be displayed along side some truly wonderful artwork from the collection. There will be a Gallery Walk Thursday Oct. 26 at 7:30 pm. May-September! 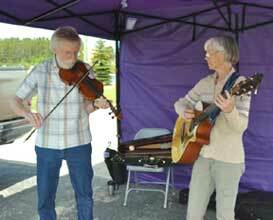 Wednesdays 4:00-6:00 -- the Manistique Farmers Market. Fresh and beautiful vegetables and fruit, fish and eggs, jams and jellies, baked goods galore and more! 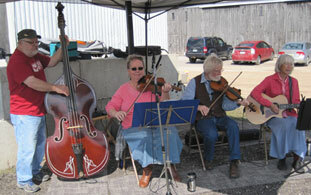 And we will be there playing cheery music for our favorite Farmers Market folks. We applaud all the wonderful vendors and all those great customers who have kept the Market going, and we're looking forward to another Fun season. July 14 & 15, Friday evening and Saturday: 41st Annual Aura Jamboree. 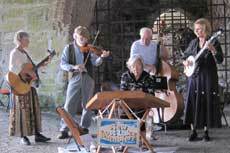 This long running old time music jamboree is for the musician in everyone. An acoustic celebration of old time music of all sorts, from Finnish to French Canadian, Celtic to New England, Folk to Bluegrass. There is music happening all over all day and evening. It's a great time. We'll be there, enjoying the great music (it truly is awesome), dancing, and adding our 15 minute bit on stage Saturday. Sponsored by the Aura Community Hall Association this is a one-of-a-kind celebration of true community music. 2016 -- Events new and old, and always interesting! December 3, Saturday: Village Artisans' Silent Auction Fundraiser, doors open at 2:00 pm at the Garden Gallery. Once again Steve, Sharon Vierk, Larry Daasch and I will add cheery music to the food and wine as participants visit, browse, and bid on one-of-a-kind handmade art & craft items donated by Garden Gallery artists and supporters for this fun fundraiser for their non-profit Village Artisans. 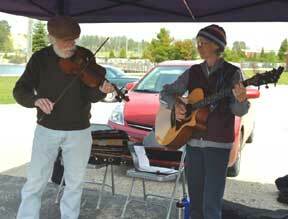 Wednesdays 4:00-6:00, May-October: Manistique Farmers Market. Fresh and beautiful vegetables and fruit, fish and eggs, jams and jellies, baked goods galore and more! 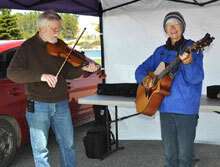 And we will be there playing cheery music for our favorite Farmers Market. We applaud all the wonderful vendors and all those great customers who have put up with the challenging road construction all summer. August 18, Thursday: Escanaba Library Author Night -- 5:00-7:30 pm. We'll be joining other invited authors for an evening of book selling and talking to folks at the Escanaba Library. So stop in, say Hi, and enjoy a pleasant visit with this group of writers. Maybe even pick up an interesting book or two to read! June 15, Wednesday: Schoolcraft Medical Care Facility Birthday Party, Manistique, 2:00-3:00 pm. 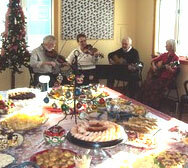 The Heritage House Thursday Group will be playing for the monthly birthday party celebration for the residents. We'll add some musical cheer to the cake and ice cream. October-January: "Off the Grid - Living Off the Land" Exhibit. Opening Reception, Oct. 17, 1:00 pm, at the NMU Beaumier Heritage Center, 105 Cohodas Hall, Marquette. This new exhibition at the Beaumier Ctr focuses on the current growing movement toward "off the grid" living in the Upper Peninsula and its roots in both Native American and early pioneer living in the region. We're happy to be a part of this exhibit and look forward to talking to folks at the opening about our experiences, and sharing with others with their own unique styles of living "off the grid". The exhibit will be up through January. December 5, Saturday: Village Artisans' Silent Auction Fundraiser, doors open at 2:00 pm at the Garden Gallery. Once again Steve, Sharon Vierk, Larry Daasch and I will add cheery music to the food and wine as participants visit, browse, and bid on one-of-a-kind handmade art & craft items donated by Garden Gallery artists and supporters for this fun fundraiser for their non-profit Village Artisans. Oct. 26, Monday -- Manistique Senior Center Writers Group, 4:00-5:00 pm, Steve and I will be sharing with the group our experience with Print-on-Demand printing for your self published books. It's much easier now than it used to be! Wednesdays at the Manistique Farmers Market 4:00-6:00. Whether it's hot, cold, sunny, cloudy, calm (seldom), or windy (usually! ), ManyTracks has a good time adding our bit of old time music to this wonderful local event at the Little Bear West Arena parking lot (near Central Park). 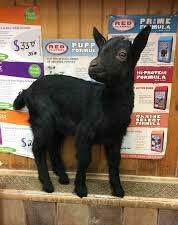 Bring your shopping bags and fill them with great local and regional fresh food and goodies -- vegetables of all sorts as they come into season, fruit, fresh whitefish, local beef, eggs, and luscious jams, baked goods, local honey, maple syrup, flowers. It just feels good to be there. And if the weather is too challenging, the Market moves inside the Little Bear Arena, and so do the customers. It's a great group, both vendors and customers. Check out their website at ManistiqueFarmersMarket.com. The Market is done for the season - it was a fun time! See you all next May. Sept. 6, Sunday -- We'll again be joining "Lost Lake Effect, and Friends" playing for the occasionally annual Lost Lake lake party. Good food, friendly people, and lively music! The weather may be variable but the fun is always reliable. July 17 & 18, Friday evening and Saturday: 38th Annual Aura Jamboree. 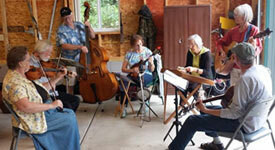 This long running old time music jamboree is for the musician in everyone. An acoustic celebration of old time music of all sorts, from Finnish to French Canadian, Celtic to New England, Folk to Bluegrass. There is music happening all over all day and evening. It's a great time. We'll be there, enjoying the great music (it truly is awesome) and adding our 15 minute bit on stage Saturday morning with our friends Tom Caron and Sharon Vierk. Sponsored by the Aura Community Hall Association this is a one-of-a-kind celebration of true community music. 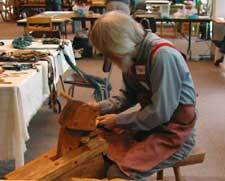 June 27, Saturday: Munising Bay Arts Festival, at Bayshore Park and Marina in Munising. 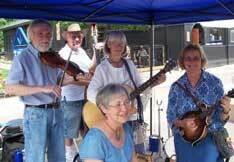 The Falling Rock Old-time Jam group, of which we are a part, will be playing lively old-time tunes from 1:00-2:00 pm for the enjoyment of visitors and artists alike. It's a great day to enjoy wonderful art from area artists and a variety of music as well. most Thursdays at Heritage House Apartments, Manistique, 12:30-2:00 pm, we head into town to join Frank Sweeney on banjo, Chris Orr on bass, Dave Bloom on ukelele, John Gores on guitar, to play and sing a variety of songs and tunes for the residents and visitors in the Community Room, adding our own old time flavor to their country/rock/variety music. Everyone is so friendly and it's a fun time. Third Tuesdays at the Medical Care Facility -- ManyTracks can be found playing for the residents from 2:00-2:45 in the Special Needs area, then 3:00-3:45 in the main area Dining Room. If you have friends or family at Medicare come on in and enjoy the music with them. We have a good time. Dance!-- Steve takes up his fiddle to provide toe-tapping lively music with guitarist friend Larry Daasch for the twice a month Lake Effect Arts Old-time Dances, Sept. to May. I'm the caller for the dances and we have a great time. You're welcome to come join us! For more information go to www.LakeEffectArts.org (or give me a call). August 31, Sunday -- We'll again be joining our friends "Lost Lake Effect" playing for the annual Lost Lake party'. Good food, friendly people, and lively music! The weather may be variable but the fun is always there. December 17, Tuesday: ManyTracks will be joining with violinist Heidi Troyer (who organizes the weekly Tuesday music sessions for the Special Needs folks) at the Medical Care Facility with lots of fiddle tunes and Holiday music for the residents. From 2:00-2:30 we'll be at the Special Needs unit, then we'll move to the main area Dining Room to play for the residents there (who are great at singing along!). If you have friends or family there come on in and enjoy the music with them. December 7, Saturday: "Village Artisans' Art for the Holidays" Silent Auction Fundraiser, doors open at 2:45 pm at the Garden Gallery in Garden, Michigan. Once again Steve, Sharon Vierk, Larry Daasch, and I will be adding lively music to the food and wine as participants visit, browse, and bid on one-of-a-kind handmade art & craft items donated by U.P. artists for this fun fundraiser for the non-profit Village Artisans of Garden. "Old-time Dancing at the Bonifas!" (700 First Ave So, Escanaba) on the 1st, 2nd and 3rd Mondays of the month, 7:00-9:00 pm. 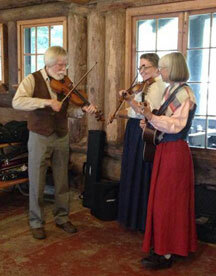 Join us for a lively evening of old-time "Barn" dances (minus the barn and hay). You don't need to know how to dance and you don't need to bring a partner. 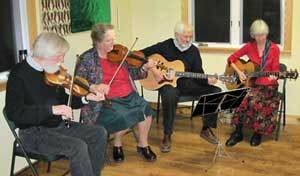 The music is toe-tapping cheery and the people are friendly. All dances are taught and called by me (Sue). Cost is $5. Questions? Give me a call at 906-644-2598 or email sue@manytracks.com. For updates see our "Dance" page (click on link at top of page). 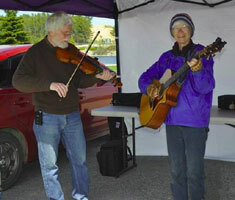 May 29 - Sept 25, Wednesdays: ManyTracks at the Manistique Farmers Market, Little Bear West Arena parking lot (near Central Park). 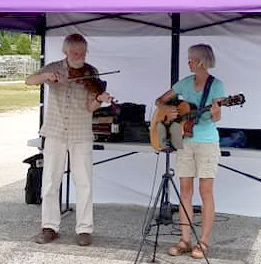 Steve and I are having fun adding a bit of old time music to the Farmers Market this summer so stop by for a listen and a hello as you shop this wonderful local market from 4:00-6:00 pm. After the Farmers Market we head north to Munising to play at the Falling Rock Cafe with our Old-time Jam buddies (7-9 until Labor Day, then it's 6-8). So come see us either in Manistique or Munising! Wednesday is a great music day for us. Saturday, July 6: Manistique Art & Craft Fair, 10:00-5:00 at Manistique's Central Park (behind Little Bear Arena, by the Bandshell) in conjunction with the annual Independence Day celebration. "Wild Cherry Wine" will be providing entertainment throughout the day. Listen for the fiddles and guitar and look for Sharon's booth (with wonderful woodburning and painting of birds and wildlife on specially selected driftwood pieces) next to the Lake Effect Community Arts booth. And while you are there, sign up for the free drawing for a great array of art and craft supplies. 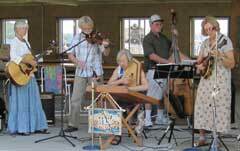 June 29, Saturday: Munising Bay Arts Festival, at Bayshore Park and Marina in Munising. The Falling Rock Wednesday Night Old-Time Jam group, of which we are a part, will be playing at the Festival at 11:00 am with lively old-time music for the enjoyment of visitors and artists alike. A great day to enjoy wonderful art from area artists and a variety of music as well. The Falling Rock Jam (from which the Jammers arise) is an open Old Time Jam Wednesday evenings at the Falling Rock Cafe. Anyone interested in this type of music is welcome to come join in! It is informal and all levels of players are welcome. June 16, Sunday: Manistique Chamber Music Concert, at the Presbyterian Church, 314 Main Street, 7:30 pm. Violinist Paul Lundin and special guest harpsichordist John Ignatowski will get this popular summer series off to a great start with a "Baroque Fever" theme. Steve and Pete Colwell will have an intermission display of "Innovative Instruments" from their collections. 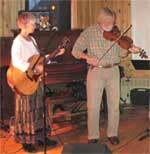 May 9, Thursday: "Community Contra Dance" at the Elks Hall (upstairs) in Manistique, 7:00-9:00 pm. 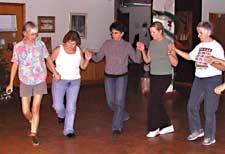 Old-time barndance from Lake Effect Arts, for adults (and teens) with music by "Frost Dancing!" 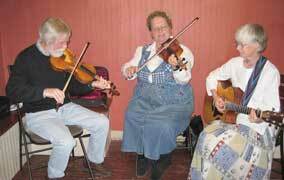 - Steve on fiddle, Heidi Troyer on fiddle and John Osterhout on guitar, and I'll be calling. For more information go to www.LakeEffectArts.org/Dance. It's a great time -- come join us! April 26, Friday: "Lake Effect Arts Family Dance" at the Inwood Town Hall in Cooks, 6:30-8:30 pm .A dance for all ages, 0 to 100, with great fun, lively old-time music by "Frost Dancing!" (with Larry Daasch sitting in for John) and dancing that everyone can participate in. See www.LakeEffectArts.org/Dance for more information. 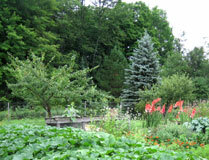 April 13, Saturday: "Bay de Noc Garden Conference", at Bay College, Escanaba. I will be teaching two workshops at this year's Conference: "Grow Your Own Vegetable Seed" and "Easy Composting 'Sue Style' ". This is a popular event and fills early. For more information contact Delta Co. MSU Extension office, 906-786-3032, www.msue.smu.edu/delta. 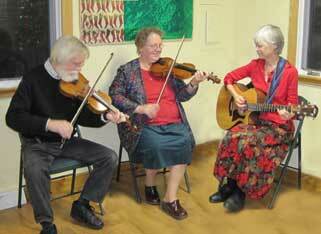 April 11, Thursday: "Community Contra Dance" at the Elks Hall (upstairs) in Manistique, 7:00-9:00 pm. This will be the second dance in the new Traditional Dance Series from Lake Effect Arts, for adults (and teens) with music by "Frost Dancing!" 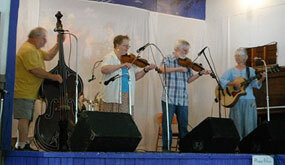 - Steve on fiddle, Heidi Troyer on fiddle and John Osterhout on guitar, and I'll be calling. For more information go to www.LakeEffectArts.org/Dance. Come join us for a fun evening! 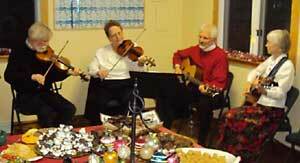 March 21, Thursday: Music at the Manistique Senior Center, 4:00-5:00. Our new dance band "Frost Dancing!" 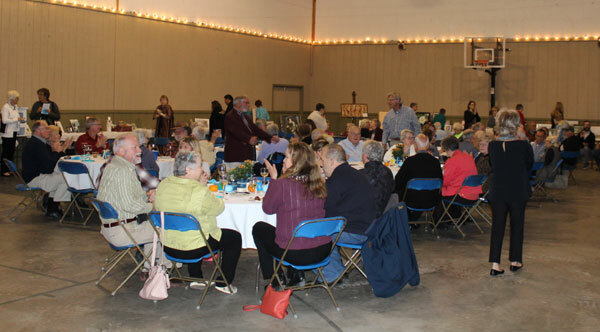 (see above) will be playing at the Manistique Senior Citizen Center before the potluck dinner. To sign up contact the Senior Center at 341-5923. March 19, Tuesday: "ManyTracks" (Steve & Sue) will be at the Medical Care Facility Alzeimer's unit at 2:00 with a bit of Irish musical cheer for the residents. If you have friends or family there come on in and join us. 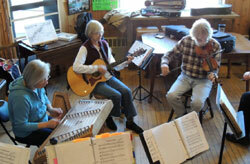 March 14, Thursday: "Lake Effect Arts Community Contra Dance" at the Elks Hall (upstairs) in Manistique, 7:00-9:00 pm. This is the first dance of the new Traditional Dance Series from Lake Effect Arts, geared toward adults and teens. I'll be calling and there will be live music by "Frost Dancing! ", a new band with Steve on fiddle, Heidi Troyer on fiddle and John Osterhout on guitar (with me also on guitar when I'm not calling). We're excited about this new venture! For more information go to www.LakeEffectArts.org/Dance. Come on out for an evening of fun! International Folk Dancing. I teach/lead an ongoing Int'l Folk Dance class/dance the second and fourth Mondays, 7:00-9:00 pm, September thru May, at the Bonifas Arts Center, Escanaba MI. See Folk Dancing page for more information. 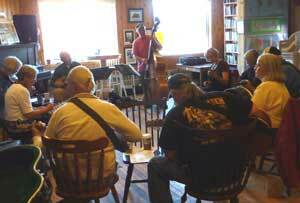 Falling Rock Jammers -- Wednesdays at Falling Rock Cafe in Munising there is an open Old-Time Jam, 7:00-9:00 pm in the summer and 6:00-8:00 pm from September-June. We are there with our fellow musician friends most Wednesdays. If you like those foot-stomping old-time tunes, come and join us! Bring your instrument and join the jam. 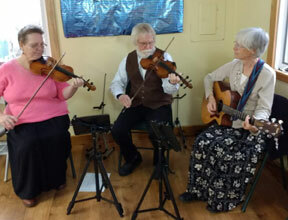 Or hang out in the Cafe, eating, drinking, socializing and being merry to the sound of the reels and jigs and waltzes of that great traditional music. October 1-29: Lake Effect Arts Members' Exhibit at the Bonifas Arts Center, Escanaba. Eight Lake Effect Arts members, including Steve and I, have 26 pieces of artwork on exhibit during October at the Bonifas Arts Center in Escanaba. The exhibit is on display in the Studio area of the Bonifas which is open Tues. - Fri. 10:00-5:30 and Sat. 10:00-3:00 and is located at 700 1st Ave So. This is the first time LEA has had an exhibit at the Bonifas and we are excited about the show. Stop in and see it and visit the main Gallery while you are there. October 10, Wednesday & Oct. 15, Monday: Bay de Noc Int'l Folk Dancers at Christian Park Nursing and Rehab Facililities: A group of our Monday night dancers will be happily performing for the residents of the two Christian Park facilities at 6:15 for a special evening for both dancers and residents. July 20 & 21, Friday evening and Saturday: Aura Jamboree, Aura. This long running (36 yrs!) 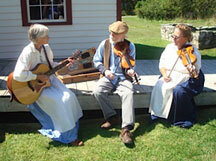 old time music jamboree is very musician friendly, and friendly musicians abound! This is a true hands-on, acoustic celebration of old time music of all sorts, from Finnish to French Canadian, Celtic to New England, Folk to BlueGrass. There is music everyway and more fiddles and accordions than I've ever seen in one place -- all out of their cases and making great music. We'll be there! Listening and playing and soaking it all in, including our 12 minute stint onstage Saturday morning. Put on by the Aura Community Hall Association this is a one-of-a-kind celebration of true community music. Open June 11!! Lake Effect Art Gallery, in Manistique at Trader's Point. March 3, Saturday: Traditional Country Dance Workshop, 10:00 am - 12:00 n. Sue will be teaching a fun introduction to Traditional Dance class covering a range of old time country dances for Lake Effect Community Arts. No experience needed and you don't have to bring a partner. 2011 -- a full and fun year! December 10, Saturday: "Village Artisans' Art for the Holidays" Silent Auction Fundraiser, 6:30 - 9:00 pm at the Garden Gallery in Garden, Michigan. "Wild Cherry Wine" (Steve, Sue, & Sharon) + Larry Daasch will be adding atmosphere and music to the food and wine as participants visit, browse, and bid on one-of-a-kind handmade art & craft items donated by U.P. artists for this fun fundraiser for the Village Artisans. 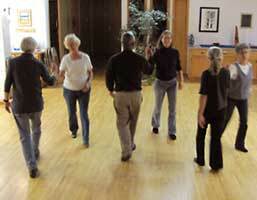 Fridays, November 18 and December 16: "Traditional Country Dance" at the "Dance Zone", 1113 Lincoln Ave, Marquette. 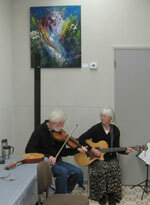 Dance from 7:30 - 10:00 pm, with live music by "All Strings Considered" and Steve and Sue. Come on out for a family fun evening of music and called dances with Marge Sklar. November 8, Tuesday: "Enjoying a Sustainable Life in the Northwoods" - Sue will be speaking to the Manistique Women's Club at 12:00 noon. June 26, Sunday: Community Concert Series - Violin-Cello-Piano Trio, in Manistique at the Presbyterian Church of the Redeemer at 314 Main Street, 7:30 pm. During intermission we will be displaying our artwork; Steve's carved bowls and Sue's watercolors. Plan to come for a unique evening of chamber music. A donation is requested at the door. May 3 - 27: Annual Lake Superior Art Association Juried Member Show in the Marquette Arts and Culture Gallery, downstairs of the Peter White Library in Marquette. Sue has three watercolors and Steve three carved bowls in this annual popular show featuring a wonderful selection from this group of creative and independent artists. This is a great chance to see (and buy!) artwork from some of the great artists in the U.P. Tuesday, November 16: "Building a Sustainable Lifestyle - Practical Ideas for Making Sustainability a Natural Part of Your Life", presentation by Sue (and Steve), 6:30 pm at the Escanaba Public Library. Going green can be easy, interesting and fun! Sponsored by the Friends of the Escanaba Public Library. For more information, visit their website at www.escanabalibrary.org, or call 906-789-7323. 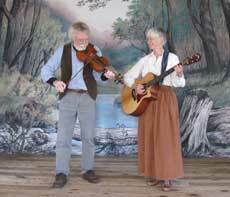 Saturday, October 2: The New Lost Lake Ramblers (Steve & Sue, Rochelle Schuster, Marilyn & Barney Ouellette) will be providing old-time music for the Fayette State Park Fall Festival, from 1:00 - 3:00 on the Hotel Porch. Activities include hayrides, haunted trail, campsite decorating and kid's activities-that adults will enjoy, too!! All campers and day visitors are welcome to join in on the fun. For more details contact the park at 906-644-2603. August & September: Our fivesome - with our new official name of the New Lost Lake Ramblers (Steve & Sue, Rochelle Schuster, Marilyn & Barney Ouellette) - take the stage, whether indoors in a hall or outdoors under a veranda, providing fun, lively acoustic music for private and public events such as family reunions, block parties, birthdays, special occasions or just for fun. 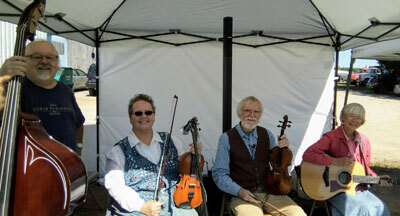 Friday, July 30: Marquette Blueberry Festival: The Pentatonic String Band, which consists of Steve and Sue, Rochelle Schuster, Marilyn & Barney Ouellette, will be providing lively string band music for the those taking part in the busy annual downtown Marquette Blueberry Festival, from 2:00 - 4:00 pm at Booth #7, next to the Pocket Park and the Information Booth. Come on down to say Hi and take a listen to some foot tapping tune. Thursday, July 15: Music in the Village, Marquette. Many musicians will be playing along North Third Street from 4 - 7 pm. Stroll the sidewalks and take in the sights and sounds of music on a summer afternoon/evening. We'll be joining three former members of Lost Lake Effect for a lively string band offering in front of River Valley Bank (corner of Magnetic and Third -- the place with the white pillars and nice shady porch). Stop by, take a listen, and say Hi! Wednesday, July 7: Children's Museum Jam, Marquette. Several musicians of the monthly Hiawatha Acoustic Jam (including us) will be playing at the Children's Museum from 2:30 - 4:00, outside in the courtyard if weather permits (inside if not). 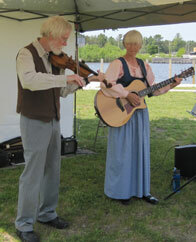 June 20: Midsummer Celebration at Lutheran Church on US-2 in Brevort. Annual pole raising and festival with special celebration this year as it is the church's centennial. The Marquette Int'l Folk Dancers will be doing a number of Scandinavian, particularly Swedish, dances in a performance after the raising of the pole. Sue is filling in and dancing in several Swedish set dances. May 3 - 27: Annual Lake Superior Art Association Juried Member Show in the Marq Arts and Culture Gallery, downstairs of the Peter White Library in Marquette. Sue has two watercolors in this annual popular show featuring a wonderful selection from this group of creative and independent artists. Wednesday, April 14: the Falling Rock Jammers will be entertaining the Harbor View Assisted Living Facility residents and friends from 2:00 - 3:30. 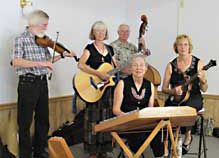 Sunday, March 7: Friends of Falling Rock Soup Celebration -- the Falling Rock Jammers will be providing old-time and celtic music for the Friends of Falling Rock from 12:30 - 2:00. Tuesday, February 25: "An Earth Friendly Life - Three Decades of Living Green in the Northwoods", 7:00 pm at the Pictured Rocks National Lakeshore Munising Falls Interpretive Center as part of their Fireside Chats series. Slide-tour and discussion of our "alternative energy" homestead and life. Sponsored by the Pictured Rocks National Lakeshore. No charge. Thursday, January 21: Music at Brookridge with Rochelle Schuster and Friends. We're happy to be joining Chelle with her popular hammered dulcimer and autoharp along with other musicians for a lively presentation of old-time and celtic music at 3:00 at the Brookridge Assisted Living Facility in Marquette.